April 2, 2018, 11:45 AM · In an effort to promote the coverage of live violin performance, Violinist.com each week presents links to reviews of notable concerts and recitals around the world. Yevgeny Kutik performed the Prokofiev with the Tallahassee Symphony Orchestra. 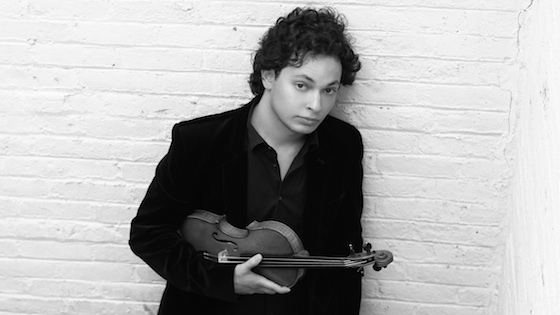 Tallahassee Democrat: "Although Prokofiev placed enormous technical demands on the solo violin part, in Kutik’s hands the impression was one of mature artistry and subtle lyricism, rather than bombastic virtuosity. What I found most impressive about Kutik’s playing was the elegance of his tone, which soared above the orchestra without becoming too steely or harsh." Gil Shaham performed the Berg with the San Francisco Symphony. The Berkeley Daily Planet: Gil Shaham gave an energetic performance, often playing notes at the very top of his instrument’s register. Los Angeles Times: "Violinist Gil Shaham brought aching lyricism to the solo line, and Tilson Thomas, not hesitating to drown him out when Berg allowed no other choice, once more sought every ounce of expression from every line in the complex symphonic accompaniment." James Ehnes performed the Barber with the Naples Philharmonic. Naples Daily News: "Ehnes, the consummate virtuoso, forged a cohesive coupling of its melodic movements and scampering finale, playing runs on an opera singer of a 1715 Stradivarius that became a character of its own among the performers."